LIFTED*JUST SERVICED WITH BRAND NEW OIL PUMP, INJECTORS, GASKETS, RADIATOR AND MORE*RUNS PERFECT!! Guarantee you won't find a better running F-350 anywhere. Local Trade in with TONS of desirable upgrades! BRAND NEW Garret Turbo, 190 Injectors, New Glow Plugs, 5" Exhaust, EDGE ECU Tuner, Rebuilt Trans with 1200 Stall Converter, 17' Raceline Wheels with Cooper OFF Road Tires! Not only does she look mean but this F350 also has all the power to take on anything you throw at it.Excellent Shape and Minimal Rust! 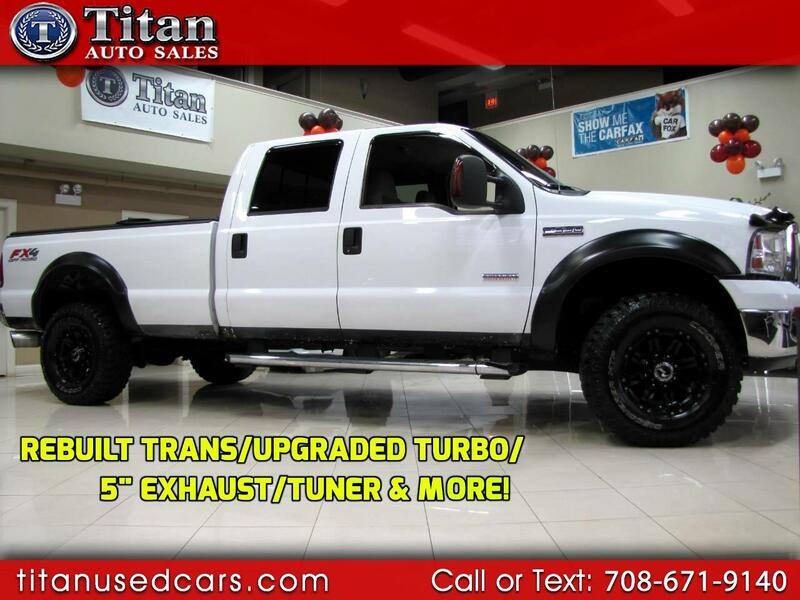 Drive off today with affordable Financing on this Turbo Diesel Beauty!